Welcome Saturday Spankings Blog Hop. Another teaser from my current book – Judged by Him. 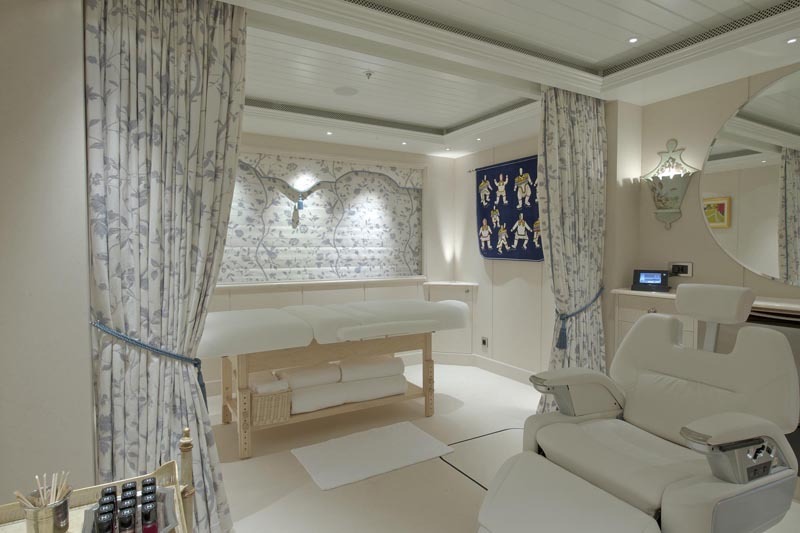 This luxury yacht comes equipped with a beauty salon and a masseuse. Lovely. Gemma has been giving Jason a little too much sassy backchat. Sent to the salon, she expects to have a massage. Instead, she finds herself lying on the massage table, bottom raised up by a pillow and Jason in search of an implement. Jason took advantage of various items lying around the room. Opening cupboard doors and drawers, he rummaged about while she propped her head on an elbow, filled with a sense of trepidation at what he might find. A plastic spatula and a wooden hairbrush. He alternated, whacking for a few smacks with one before switching to another. She squirmed, baulking at the stinging spatula. He rested a hand on her lower back, holding her steady. Burying her head in her arms, she absorbed the firm strikes of the hairbrush and relished the kinder strokes of his hand, which moved across her burning cheeks, tempering the pain. I think I want to vacation on that yacht. It would be nice – I fell in love with that yacht. Love this, the idea of being spanked in a massage room is wonderful. It’s on my Kindle, just have to find time to read. I love the whole yacht thing, so much fun!! Those TBR’s just grow and grow 🙂 thanks for downloading. Love the blurb, I’ll have to check this one out. I’ll take a night in that bedroom, thank you very much. Can’t wait to check this out, I love cruising and i can just imagine how wonderful it would be on a private yacht. The great thing about luxury is you make it whatever you want it to be. Jaye. Love that photo. It goes perfectly with your snippet. His use of not one implement, but two… very hot. I could almost feel the stinging bite of that plastic spatula. Spatula do have a sting to them 🙂 The picture was perfect, very close to how see it in my head. A wicked thunk – I do like impromptu implements. If I remember correctly, she almost rolled her eyes! LOL, that was a wonderfully different massage. She doesn’t always get what she thinks is coming her way. Great snippet. mmm, you had me squirming! I like this a lot especially since she trusts him. Very nice! Yes she does, which is what is special about this couple. Wonderful setting Jaye, nice relaxing saloon lol. The spatula and hairbrush though! Ouch! I would definitely love a cruise on that yacht!